Definition at line 40 of file pit-face-record.hpp. Definition at line 31 of file pit-face-record.cpp. Definition at line 74 of file pit-face-record.hpp. Definition at line 80 of file pit-face-record.hpp. Definition at line 86 of file pit-face-record.hpp. Definition at line 92 of file pit-face-record.hpp. 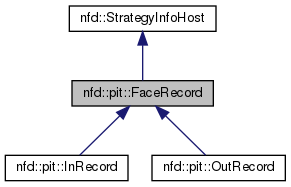 Definition at line 40 of file pit-face-record.cpp. References ndn::DEFAULT_INTEREST_LIFETIME, ndn::Interest::getInterestLifetime(), ndn::Interest::getNonce(), and ndn::time::steady_clock::now().